With more than 40 years in the heating and cooling business, ABC Heating and Air of Aurora is dedicated to providing the best possible repair service for all seasons for you and your family. You can count on us to provide you with a furnace heating system and solution that fits your family's unique needs and since we've installed and repaired many systems in the Fox Valley Aurora area, including Montgomery and Oswego. We've earned a reputation for doing the job right the first time. We work with the leaders in home heating and cooling repair equipment, Bryant., Carrier, Trane, York , Goodman, Rheem, Lennox, and Armstrong. Our HVAC repair contractors are trained to see your job through from start to finish, making sure the Heating and or Air Conditioning system performs up to your expectations. 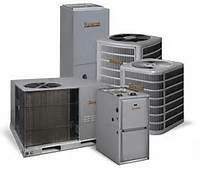 Our HVAC Furnace and Air Repair Technicians are Licenced to Service,Install and Repair Furnaces, Air Conditioning, Boilers, Water Heaters with expertise. Copyright 2013 ABC Heating and Air Condition . All rights reserved.